Manoj Bajpayee has always stood out for his challenging choice of roles. From movies like ‘Satya’, ‘Pinjar’ and ‘Gangs of Wasseypur’ to his recent ‘Aligarh’, his performances have remarkably raised the bar of acting in the industry. 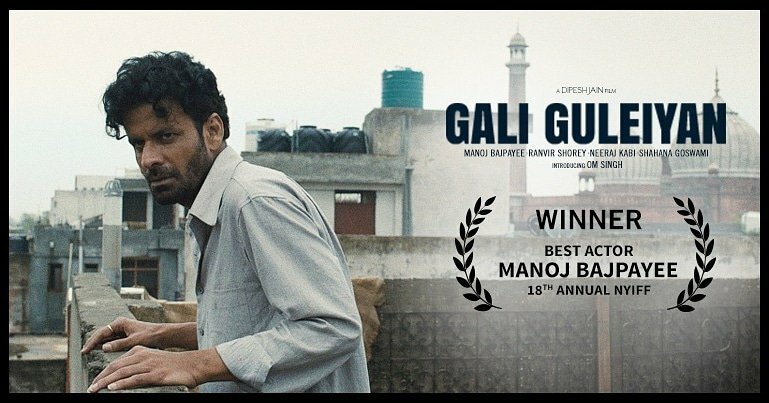 The actor has now bagged the award for best actor at the prestigious New York Indian Film Festival for his Hindi psychological drama – Gali Guleiyan. As always the actor went deep into character, so much so that he is once again almost unrecognizable. Here’s wishing Manoj Bajpayee all the luck and success! 15 queries in 0.693 seconds.